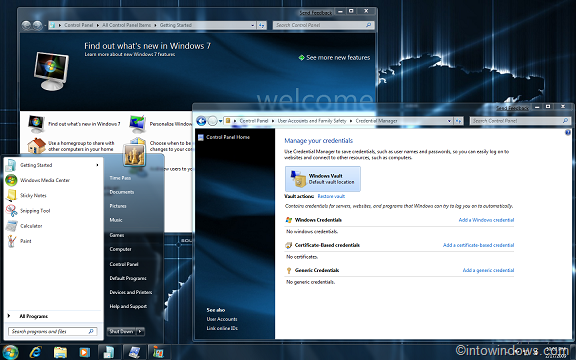 OneWorld theme for Windows 7 is an attempt to change the look & feel of Windows 7 Beta by The Windows Club & Into Windows. Apart from the usual stuffs that you can see in our previously created Windows 7 themes, this theme also comes with a new Welcome Center, Task Pane, Desktop Icons and five cool ‘OneWorld’ images as sideshow to make your Windows 7 desktop better than ever. 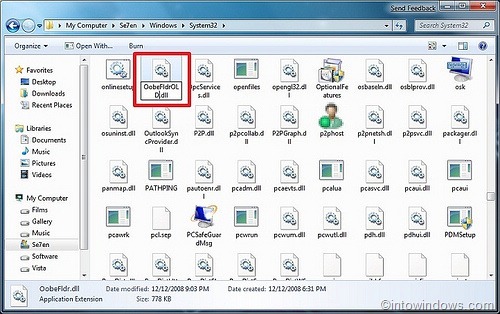 * Extract the contents of the downloaded zip file. * Double-click on the file named “OneWorld.themepack” to apply the theme. 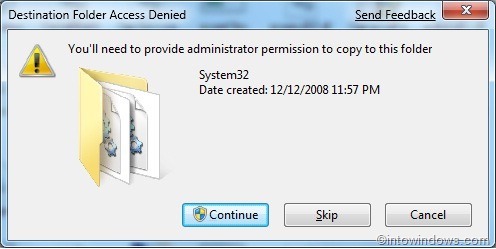 *Go to C:\Windows\System32 (Where “C” is your Windows 7 OS drive). 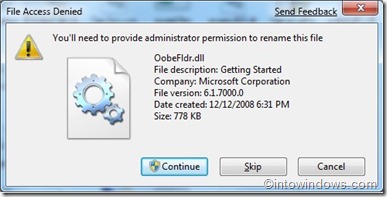 * Locate the file named “Oobefldr.dll” & “Shell32.dll” and take the ownership of the files. If you don’t know about taking ownership of a file, then please read our “How to take ownership of a file in Windows 7” guide. 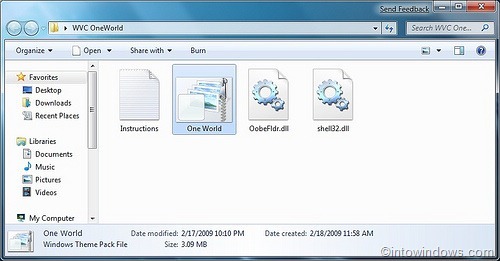 * Now, rename the files as “OobefldrOLD.dll” & “Shell32OLD.dll” and minimize the folder. Click Continue button for the confirmation dialog box. 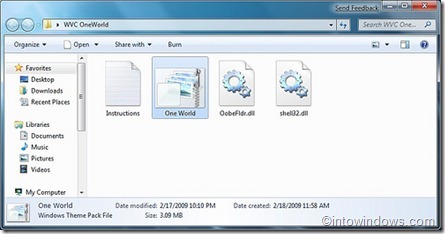 * Open the WVC OneWorld folder and copy Oobefldr.dll & Shell32.dll files to C:\Windows\System32 folder. * Click Continue button for Windows prompt. * Reboot your system to see the change. This theme has been tested on 32-bit Windows 7 Beta Build 7000 systems; not sure if it works on x64 systems.